Total Team Construction LLC was founded in July of 2003 by its Owner Members: William M. Fuchs and Matthew W. Fuchs. 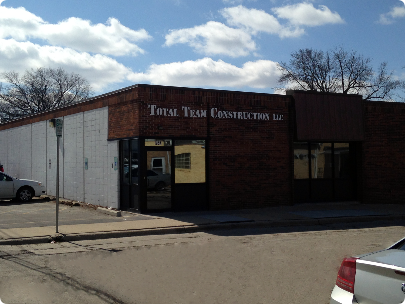 Total Team Construction LLC is a team-oriented and family-oriented commercial construction management firm. We can either join the existing project team, or we can provide turnkey design-build solutions where we work with the Owner to select the Architect with the design specialty and expertise for the project vision. In November of 2011, Logical Green Solutions LLC was started as a division of Total Team Construction LLC to help our clients reduce operating expenses, save time, and improve their environmental sustainability. Our team of LED lighting experts provides clients with the ability to upgrade and modernize their existing lighting to LED -- essentially for free, due to the tremendous energy savings. This is the first "green" energy saving technology that can pay for itself, and it can even generate immediate, positive cash flow.